Hundreds of far left protesters gathered at the Galleria Mall in St. Louis county on Wednesday night. The protesters were turned away at the Galleria doors. Hundreds of police officers were called to the Galleria. 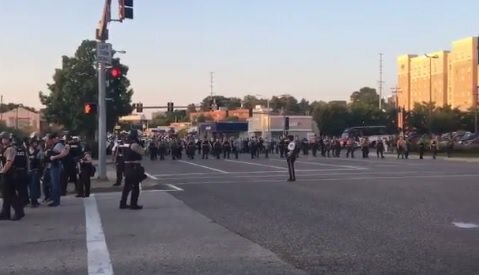 The protesters then shut down the intersection on Brentwood Boulevard.